Lady Gaga is about pulse-pounding music and jaw dropping fashion. So of course, her signature Heartbeats in-ear headphones from Beats by Dr. Dre give you both sound that transcends the ordinary headphone along with a fashion-forward style created by Gaga herself. Newly improved with smaller and lighter housing for a better in-ear fit and thinner tangle-free cord, you have fashion and function in one! Now equipped with ControlTalk Universal™, you can take calls from any smartphone and conduct your business in style! 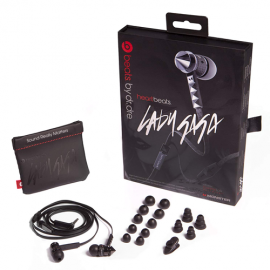 Heartbeats by Lady Gaga are designed to deliver the soundtrack of your life with clarity and power, and to satisfy your passion for fashion and sound. 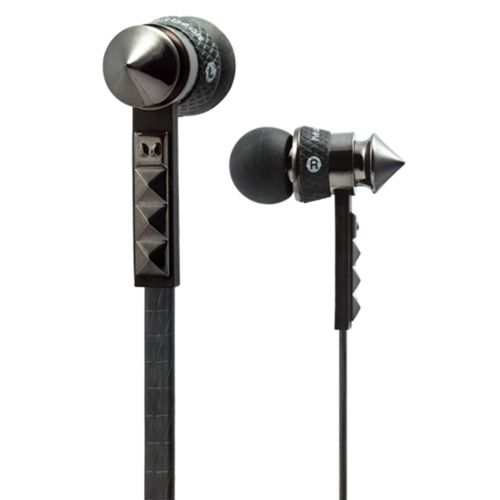 They deliver pristine highs, punchy mids and pounding bass, as expected of any Beats by Dr. Dre artist line.